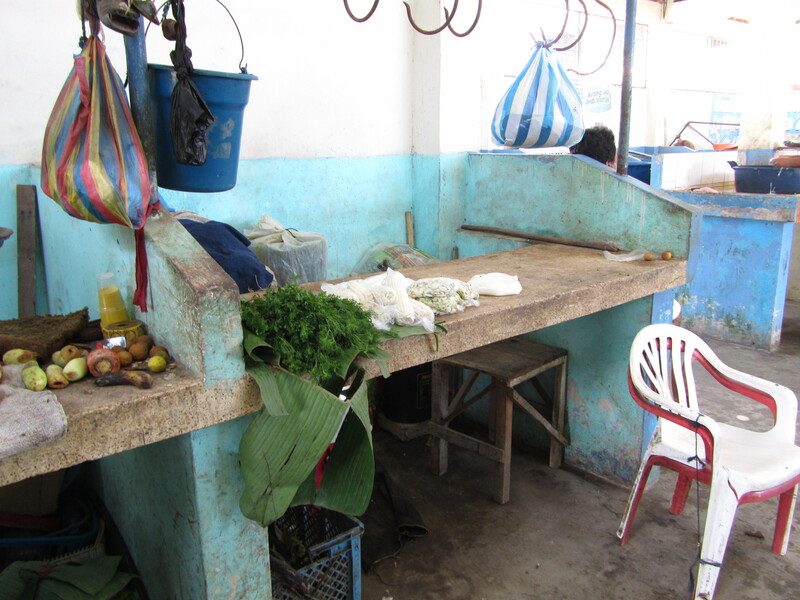 This is the smallest public mercado that I have seen so far in Ecuador. 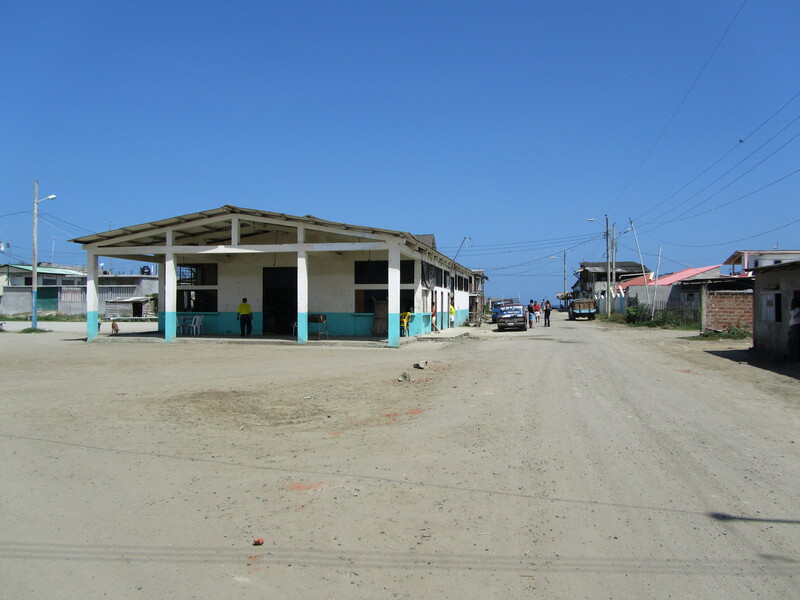 It is located a few blocks from the main street and one block off the beach. 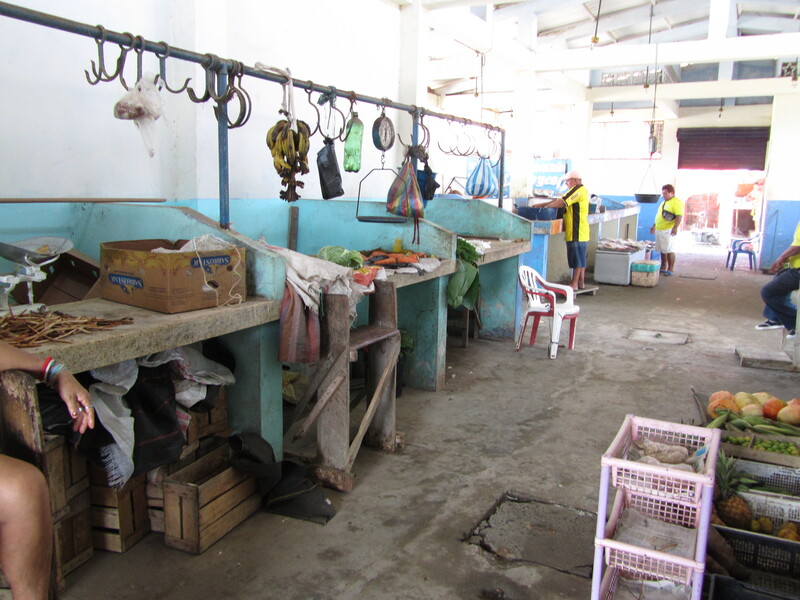 There were at least three vendors selling several different types of fish including corvina (sea bass), pargo (red snapper) and two different sizes of shrimp one heads on and one without, and calamari. 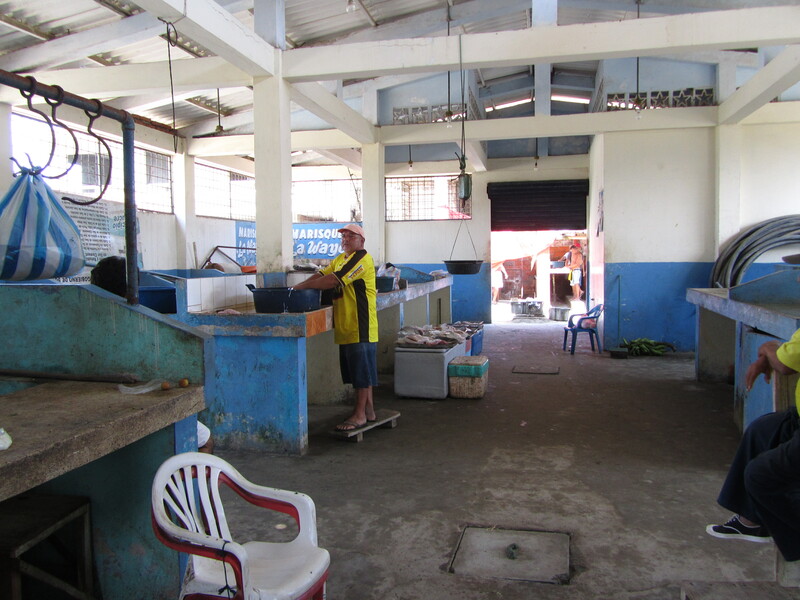 Prices seemed to be what I have found in Playas maybe a bit less with the heads on shrimp going to $3 to $3.50 for medium to large 20-24 to the pound. I was fascinated to see one man selling fresh from the cow, unpasteurized milk in a plastic bag. He must have a home garden with tomatoes, beans and fresh baby cilantro. 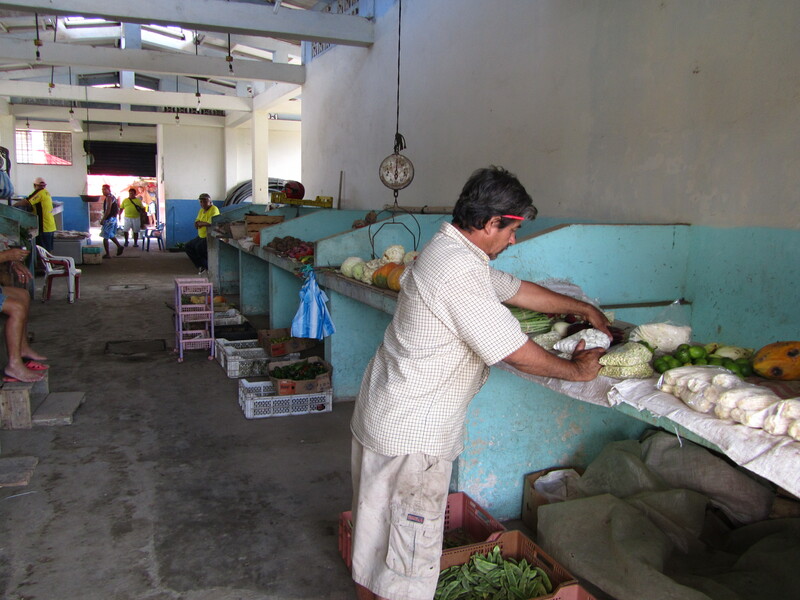 He comes to the Mercado to sell his vegetables each day. He looked to be over retirement age and this is probably his only income. There were a few places with red onions, more tomatoes and I even saw a few beautiful eggplants. Not a huge variety of produce but enough for everyday meals. 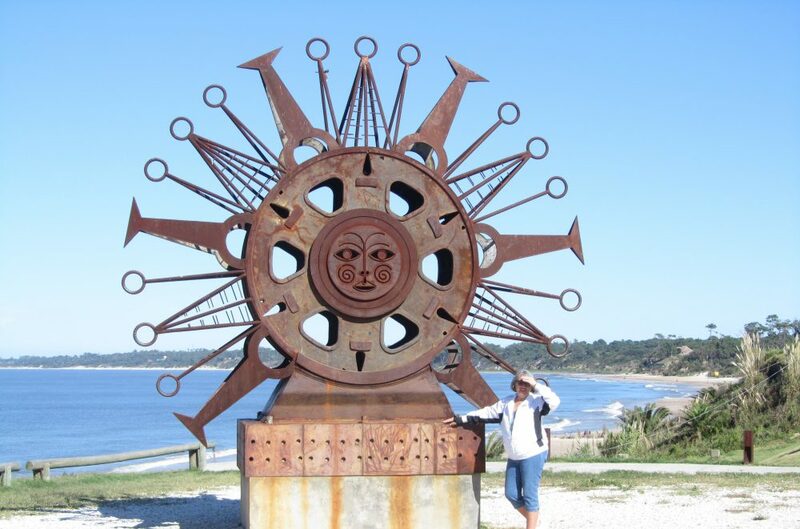 This entry was posted in Beach, Ecuador, Fish, Mercado, San Jacinto and tagged Beach living, Ecuador, Expats, Social Security, South American by Nancy Levin. Bookmark the permalink. 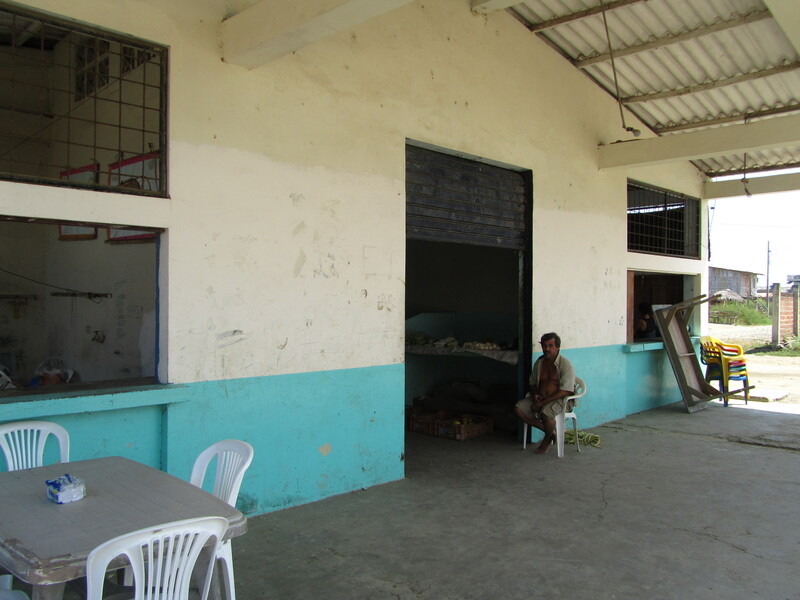 The flooding of that Charapoto area is probably the reason for the lack of variety of vegetables. There is more variety in Jama, though they might have been brought in from another area. 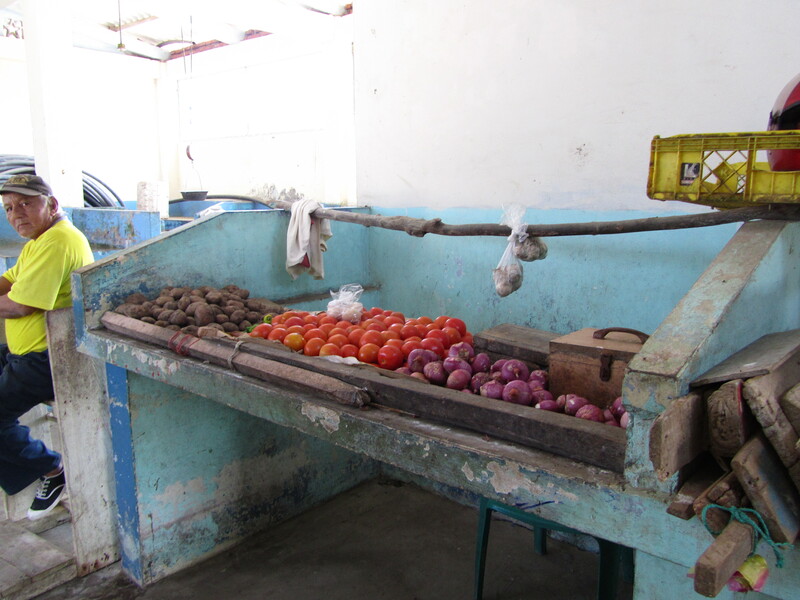 There are many bruised and spoiled tomatoes – probably picked when green to save what they could. Ditto for achojcha. Wow. how sad, especially the medical waste. That sounds scary! You might like this; keep your eyes out for the hermit crab b&bs! OK.. I am little bit jealous! (not really) i’m thrilled that you’ve visited their home and witnessed their joy in their new life! I’m trying to persuade them to write a blog, as they send dynamite newsletters!